Charles Albert "Chief" Bender (May 5, 1884[a 1] – May 22, 1954) was a pitcher in Major League Baseball during the first two decades of the 20th century. In 1911, Bender tied a record by pitching three complete games in a single World Series. He finished his career with a win-loss record of 212-127, for a .625 winning percentage and a career 2.46 earned run average (ERA). After his major league playing career, Bender filled multiple baseball roles, including service as a major league coach, minor league manager and player-manager, college manager and professional scout. He was elected to the Baseball Hall of Fame in 1953 and he died not long before his induction ceremony the following year. Bender was born in Crow Wing County, Minnesota as a member of the Ojibwe tribe. His father was German and his mother was part Chippewa. As a child, he received the Indian nickname "Mandowescence", meaning "Little Spirit Animal." His family had 160 acres on the White Earth Indian Reservation near Brainerd, Minnesota. His father taught him to farm on the reservation. He graduated from Carlisle Indian Industrial School and attended Dickinson College. Bender debuted in the major leagues in 1903. He is one of only a few pitchers in the 20th century to throw 200 or more innings at the age of 19. His walks per nine innings rate was 2.17; only a few pitchers since 1893 have had a rate below 2.2 at the age of 20 or younger. That year he also won a game against Cy Young and even met his future wife Marie. 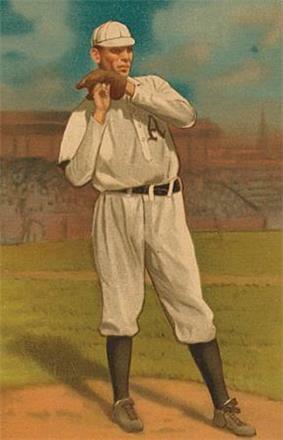 In 1905, Bender earned an 18-11 win-loss record with a 2.83 ERA, helping the A's win the AL pennant, but they lost the World Series in five games to the New York Giants. Bender went 1-1, 1.06 ERA in the series, pitching a 4-hit, 3-0 complete game shutout in game 2, striking out 9, and again went the distance in game 5, giving up just two earned runs in eight innings and losing 2-0 to Christy Mathewson. After solid seasons in 1906 (15-10, 2.53), 1907 (16-8, 2.05), 1908 (8-9 despite a 1.75 ERA) and 1909 (18-8, 1.66), he led the Athletics to the AL pennant in 1910 as Philadelphia went 102-48, 14 1/2 games ahead of the second-place New York Yankees. Bender led the AL in winning % at .821, going 23-5 with a 1.58 ERA. He went 1-1 with 1.93 ERA in the World Series as the A's beat, in five games, the Chicago Cubs, who had gone 104-50 in the regular season. Bender pitched a complete-game three-hitter in the opener, striking out 8 and giving up only one unearned run. He lost game 4 of the series in another complete game effort, 4-3 in 10 innings. Bender pitched all 9 2/3 innings for the Athletics, striking out 6. In 1911 he led the AL in winning percentage again (.773), going 17-5 with a 2.16 ERA as the A's won their second consecutive AL pennant, going 101-50 and finishing 13 1/2 games ahead of the Detroit Tigers. In a rematch of the 1905 World Series, the Athletics got their revenge, defeating the New York Giants and becoming the first American League to win back-to-back World Series (the Chicago Cubs from the NL had won back-to-back titles in 1907 and 1908). After losing the opener 2-1 to Christy Mathewson, though pitching a complete game, giving up just 5 hits and 2 runs (1 earned run) and striking out 11, he returned in game 4, beating the Giants 4-2 on a complete game 7-hitter, and closed out the Series in game 6 with a 13-2 A's victory. Bender again went the distance (his 3rd complete game of the series), a 4-hit performance which he gave up no earned runs (the two Giants runs were unearned). He went 2-1, with 1.04 ERA and 3 complete games in the series. In 1912 Bender was 13-8 with a 2.74 ERA. He did not start for nearly 40 games late in the year and was suspended by the A's in September for alcohol abuse. His next contract had a clause saying he had to abstain from drinking to earn his full salary. In 1913 he went 21-10 with a 2.21 ERA, helping the A's win their third AL pennant in four years. They would also make it three World Series titles in four years by defeating the Giants in five games. Bender went 2-0 in the series with complete-game victories in games 1 and 4. He led the AL in winning percentage (.850) for the third time in 1914, going 17-3 with a 2.26 ERA, and the A's would win their fourth AL pennant in five years. But the Philadelphia would be swept by the underdog Boston Braves, with Bender losing game one 7-1 and giving up 6 earned runs in 5 1/3 innings. It was the only World Series game he failed to finish after completing his previous nine starts in the fall classic. When the Baltimore Terrapins of the upstart Federal League offered Bender a significant increase in salary, Mack knew he could not hope to match it and released him. Bender went 4-16 for the Terrapins and later regretted leaving Philadelphia. 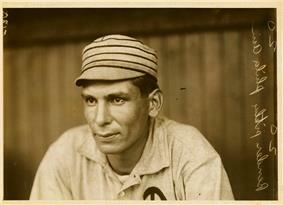 After two years with the Phillies, he left baseball in 1918 to work in the shipyards during World War I. Over his career, his win-loss record was 212-127, for a .625 winning percentage (a category in which he led the American League in three seasons) and a career 2.46 ERA. His talent was even more noticeable in the high-pressure environment of the World Series; in five trips to the championship series, he managed six wins and a 2.44 ERA, completing 9 of the 10 games he started, putting him 2nd in World Series history behind Christy Mathewson. In the 1911 Series, he pitched three complete games to tie Christy Mathewson's record of three complete games in a World Series. He also threw a no-hitter on May 12, 1910 beating the Cleveland Indians 4-0. In 1919, Bender pitched in the minor leagues for the Richmond Colts of the Virginia League. He earned a 29-2 record that year. He spent the next three seasons as a player-manager; the first two seasons were with the New Haven Weissmen/Indians, and the third was with the Class AA Reading Aces. For the 1920 New Haven team, Bender recorded 25 wins as a pitcher. His record declined to 13-7 in 1921 and 8-13 in 1922. In 1923 and 1924, Bender did not manage but did pitch for the minor league Baltimore Orioles and the New Haven Profs, respectively. He went 6-3 with a 5.03 ERA for Baltimore, then went 6-4 with a 3.07 ERA for New Haven. He came back to the majors as a coach for the Chicago White Sox (1925–26) and even made a cameo appearance on the mound in 1925. Between 1924 and 1928, Bender managed the baseball team at the United States Naval Academy. He recorded a 42-34-2 record for the Naval Academy. In 1931 he coached for the Giants and the next year managed the Yankee affiliate in the Central League. He then returned to the Athletics where he worked the rest of his life as a scout, minor league manager, and coach. Bender was nicknamed "Chief", a common nickname for baseball players of Native American descent. Biographer Tom Swift writes that Bender "was often portrayed as a caricature and was the subject of myriad cartoons - many exhibits of narrow-mindedness. After he threw one of the most dominating games of the early years of the American League, Bender was depicted wielding a tomahawk and wearing a headdress as though he was a happy warrior." He also faced discrimination on the field. Swift writes that taunting from the bench was common in Bender's era and that the opposition or the fans often made war whoops or yelled taunts such as "Nig!" or "Back to the reservation!" Bender usually remained calm, sometimes smiling at the insults. After an inning in which he had pitched particularly well, he might yell back, "Foreigners! Foreigners!" Off the baseball field, Bender was one of several prominent baseball players who enjoyed trap shooting, bowling and golf. He felt that shooting in the offseason helped to train his eye and increase his self-control. He worked in sporting goods at Wanamaker's in Philadelphia during his early playing days. He opened his own store, Bender Sporting Goods, in 1914. Bender's brother, John C. Bender, also played professional baseball. John Bender was suspended from minor league baseball for three years following the 1908 stabbing of his manager, Win Clark. Clark was stabbed in the torso several times. John Bender is sometimes erroneously described as having died on a baseball field, but he died at a restaurant in 1911, not long after attempting a professional baseball comeback. Late in his life, Bender's friend John Burns gave him a plot of land in Haddon Heights, New Jersey. Bender planted a garden on the land and worked with it almost every day, even though he lived in Philadelphia. He grew a number of fruits and vegetables, especially corn, and either ate, sold or gave away what he grew. After the 1950 season, Bender took his last position in the major leagues, replacing Mickey Cochrane as the pitching coach for the Athletics. Bender's coaching helped pitcher Bobby Shantz to the American League Most Valuable Player Award in 1952. Bender was struggling with health problems, including arthritis and a cancer he did not disclose, during his tenure with Philadelphia. In his last days, Bender remained close friends with Athletics coach Bing Miller, who used to bring Bender a container of ice cream almost every day. Bender was hospitalized in Philadelphia in mid-April 1954. He died there on May 22, 1954 of prostate cancer. He had also been suffering from cardiac problems. While he had been hospitalized, Bender sent Marie to Shibe Park for each home game so that she could report back to him on his team's pitching. Bender was buried in the Philadelphia suburb of Roslyn, Pennsylvania. Bender was well liked by his fellow players. Longtime roommate and fellow pitcher Rube Bressler called him "one of the kindest and finest men who ever lived." Ty Cobb called him the most intelligent pitcher he ever faced. Bender was also known as one of the best sign-stealers of his time; Mack often put this skill to use by occasionally using him as the third-base coach on days he wasn't scheduled to pitch. The innovator of the slider is debated, but some credit Bender as the first to use the pitch, then called a "nickel curve", in the 1910s. Bender used his slider to help him achieve a no-hitter and win 212 games. Bender was voted into the Baseball Hall of Fame in 1953, less than one year before his death. He died before his induction ceremony and Marie accepted the Hall of Fame plaque on his behalf. In 1981, Lawrence Ritter and Donald Honig included him in their book The 100 Greatest Baseball Players of All Time. ^ There is uncertainty about Bender's birthdate. He was voted the SABR "Centennial Celebrity" of 1983, as the best baseball player or figure born in 1883. However, the SABR Baseball Research Journal for 1983 acknowledges that there are discrepancies in records about Bender's birth year, ranging from 1883 to 1885. 1884 is the figure most often given. ^ a b "Chief Bender Minor League Statistics & History". ^ 2014 Baseball Media Guide (PDF). ^ Kaufman, King. "Chief Bender's Burden (review)". ^ "Big Chief Bender trap-shooting star". ^ "Chief Bender is going into business". Dawson Daily News. June 1, 1914. Retrieved November 1, 2014. ^ Gorman, Robert, Weeks, David (2009). Death at the Ballpark: A Comprehensive Study of Game-related Fatalities of Players, Other Personnel and Spectators in Amateur and Professional Baseball, 1862-2007. McFarland. p. 102. ^ "WISCONSIN Magazine of History",Wisconsin Historical Society Press, Spring 2004 issue. Accessed July 8, 2007. ^ "National Baseball Hall of Fame and Museum: Hall of Famer detail",National Baseball Hall of Fame. Accessed July 8, 2007. Kashatus, William C. (2006). Money Pitcher: Chief Bender and the Tragedy of Indian Assimilation. Penn State Press. Powers-Beck, Jeffrey P. (2004). The American Indian integration of baseball. University of Nebraska Press. p. 269. Charles Albert Bender at MNopedia. Charles Albert Bender in "A History of Minnesota Baseball" mural at Target Field in Minneapolis.